5-Piece Queen Size Bedroom Set. 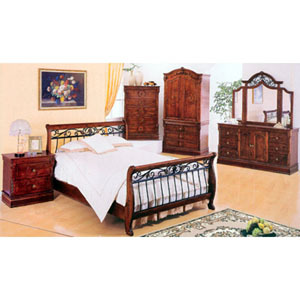 The Price Includes Head/Footboard Rails, One Night Stand, Mirror, Dresser, And Chest. Strong Construction. Easy To Assemble. IEM7125Q.